This book provides a wide-ranging review of urban problems and constitutes a major contribution to the mounting public debate that these problems are attracting. 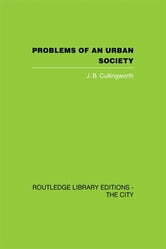 Many of the problems - of social and economic decay - are not new; indeed they are perennial problems of urban societies. As the complexities and interdependencies of modern life have increased, so has the resolve to combat the environmental and social ills to which these give rise. 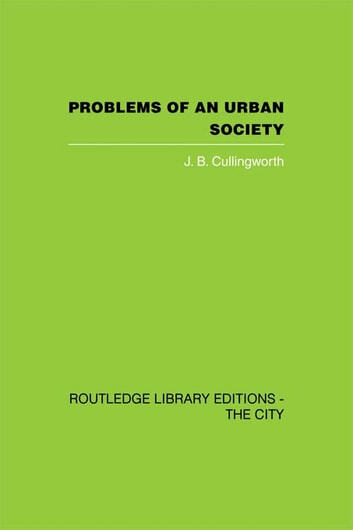 The particular focus of this volume is on the 'framework' of urban problems - the changing demographic, social and economic structure, the shortage of land and the transport needs of a highly complex industrial society. A mass of facts and figures are neatly and succinctly marshalled to provide a clear picture of the problems. Stress is laid on the essentially political nature of these problems and the alternative solutions. In essence, urban problems are problems of social injustice, of disadvantage and of lack of power. This book was first published in 1973.